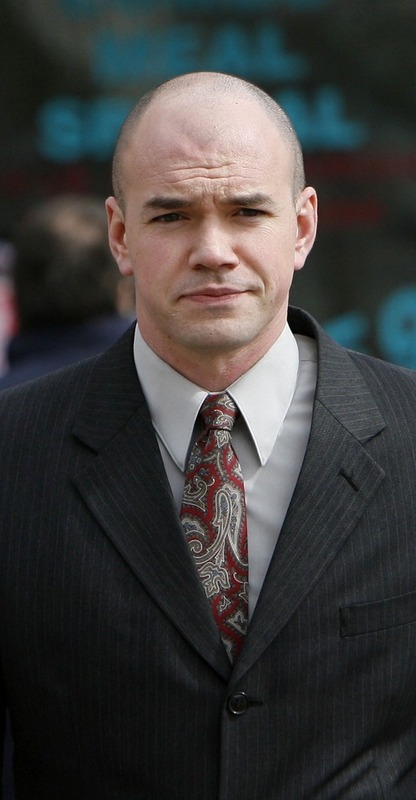 Courts • Tim DeChristopher faces up to 10 years in prison when he is sentenced Tuesday. 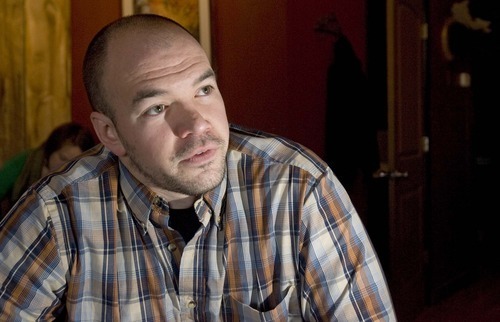 Steve Griffin | The Salt Lake Tribune Tim DeChristopher talks with reporters shortly after he was escorted out of BLM offices in Salt Lake City for placing bogus bids on oil and gas leases at a federal auction. 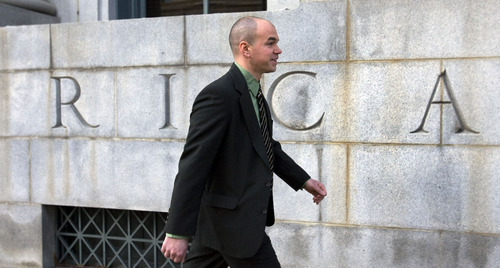 Al Hartmann | The Salt Lake Tribune Tim DeChristopher arrives at the Frank Moss Federal Courthouse for a past court hearing. Steve Griffin | Tribune file photo Tim DeChristopher Paul Fraughton | The Salt Lake Tribune Tim DeChristopher Al Hartmann | The Salt Lake Tribune An undaunted and defiant Tim DeChristopher rallies his supporters after being found guilty of crashing a federal oil and gas lease auction outside the Frank Moss Federal Courthouse in Salt Lake City March 3. 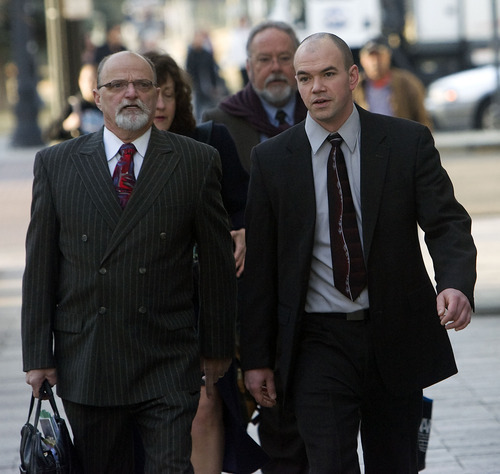 Al Hartmann | The Salt Lake Tribune Tim DeChristopher, right, enters Frank Moss Federal Courthouse in Salt Lake City on Thursday, March 3 with his lawyer Ron Yengich. 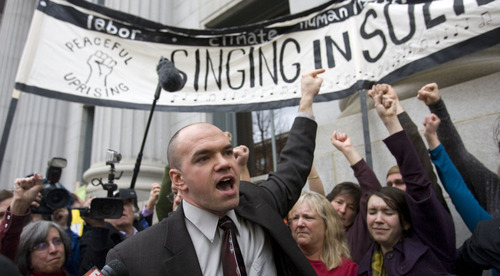 Federal prosecutors are objecting to a federal probation officer's sentencing suggestions for Tim DeChristopher, a climate activist who will receive his punishment next week for rigging oil and gas lease bids three years ago. 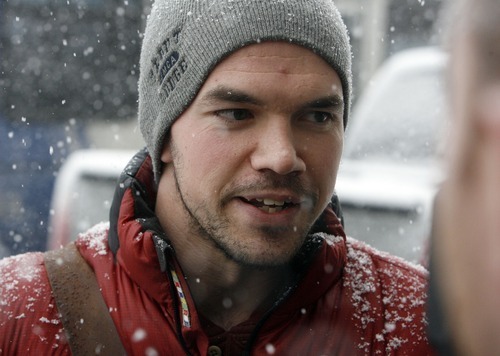 DeChristopher, a 30-year-old Salt Lake City resident who was a University of Utah economics student when he disrupted a Bureau of Land Management lease auction in December 2008, faces a maximum prison sentence of 10 years when he appears before U.S. District Judge Dee Benson on Tuesday. But the probation officer who completed DeChristopher's pre-sentence report suggested he receive less than the maximum sentence, in part because DeChristopher has taken responsibility for his actions. Benson will take into account a number of factors when determining DeChristopher's sentence, including the pre-sentence report. Assistant U.S. Attorney John Huber argued in a motion filed Tuesday that DeChristopher isn't sorry for hijacking the auction and deserves a harsh sentence. He cited a spate of media interviews DeChristopher gave after his conviction, including a speech on the courthouse steps in which DeChristopher told a throng of reporters that "if we are to achieve our vision, many after me will have to join me [in prison] as well." "Mr. DeChristopher has boastfully declared that he has no regrets for what he did, would do it again 'in a heartbeat' and encouraged others to follow his lead," Huber wrote. Huber noted DeChristopher's fraudulent bidding drove up the price of parcels by $300,000 at the auction, causing one "legitimate bidder" to lose more than $600,000. Taxpayers were also harmed, Huber wrote: The leases were valued at $160,000, while DeChristopher's crime resulted in a $900,000 loss for the BLM. Huber did not recommend a specific prison term for DeChristopher, instead writing that "probation or a nominal jail sentence would be as unjust in this case as would be the maximum term of imprisonment." DeChristopher's attorney, Ron Yengich, wrote in his own court filing that his client shouldn't be held liable to pay back the BLM for the cost the agency incurred to hold the auction in the first place. "DeChristopher is not responsible for the governmental illegalities involved in the auction, which caused the Interior Department to eventually nullify the auction and withdraw many parcels from eligibility for bidding in future auctions," Yengich wrote. Yengich also claims DeChristopher actually made money for the government when he drove up bids at the 2008 auction to protest sales of federally owned minerals in Utah and won $1.8 million in leases. A jury in March convicted him of making false representations.